Material: 8% elastane, 60% polyester, 32% viscose. 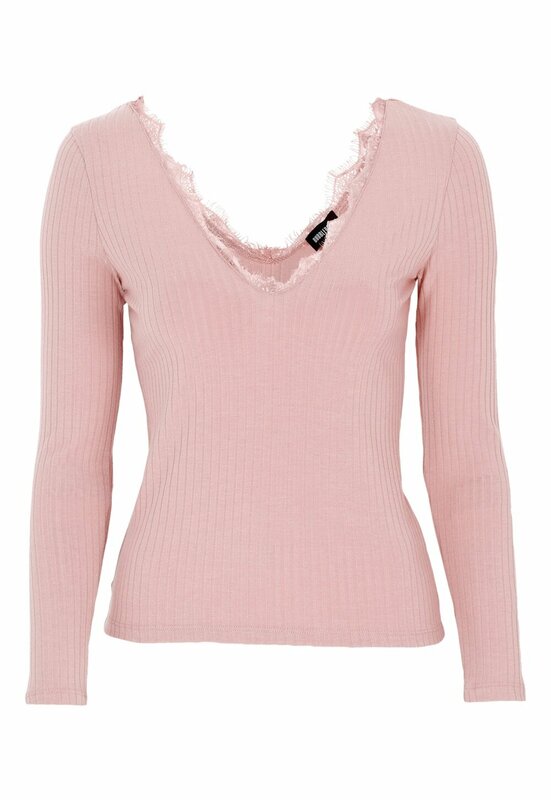 Flattering top with lace details from Bubbleroom. - Made in a soft, stretchy quality. - Pretty lace details in the V-neckline at both the back and front. - Sleeve length: 57 cm in size S.
- Length of garment: 55 cm in size S.